Even in this age of sophistication, the popularity of the Volkswagen "Beetle" has not diminished. The original design dates back to the 1930"s when Dr. Ferdinand Porsche provided the design framework for the "People"s Car." Today, with more than 20 million units produced, the Volkswagen Beetle has become a symbol of mass-produced motorization, with no other vehicle exceeding this figure. Built upon the sturdy platform chassis is the amazingly reliable air cooled, flat-four cylinder engine. Suspension is four wheel independent for crisp handling and driving comfort. Although the onset of the Second World War greatly hindered Volkswagen"s marketing opportunities, it made a superb comeback shortly following the conflict, under the skillful guidance of Heinrich Nordhoff. Throughout its production life, the Volkswagen was continuously improved to meet modern automobile standards. An enlarged powerplant displacement and better visibility are two of the notable changes that enabled the Beetle to set standards for the compact car market, decade after decade. 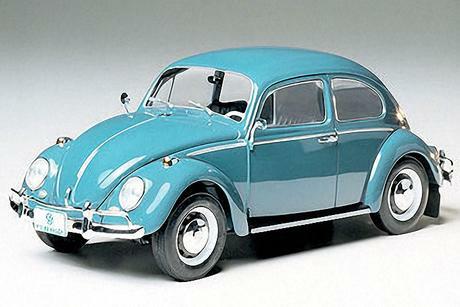 The 1966 Volkswagen model is regarded as the classic Beetle, one that retains the most of the original design traits, and it has become a collector"s item. Even today, more than half a century later, watching a nimble street bug is still a pleasant sight to behold, and its unmistakable shape will likely delight generations to come.